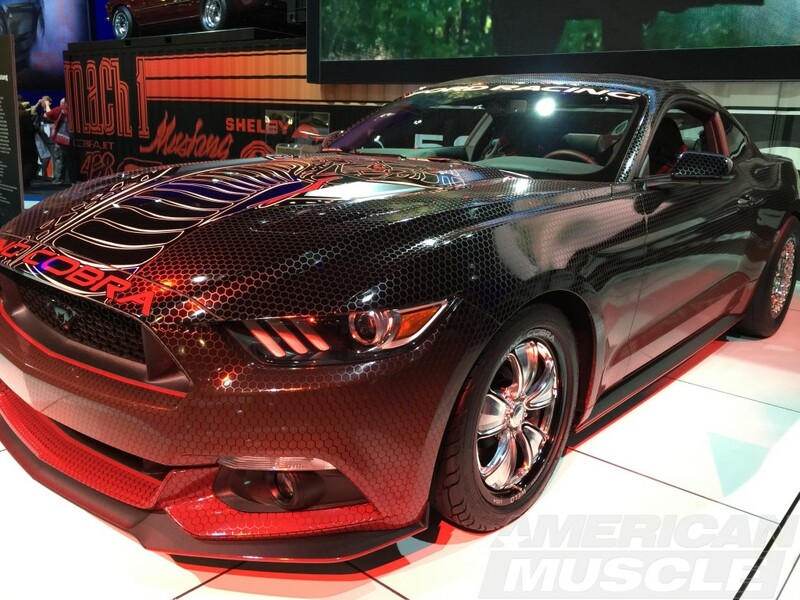 The King is Back: Ford Announces Insane 10 Second 2015 King Cobra Mustang @ SEMA! The King Cobra is back and wearing snakeskin, though after reading that and shuttering at the memory of the Mustang II you might be shocked to hear about it’s sub 11 second quarter mile time at 125+MPH…This is NOT your dad’s King Cobra. For those that scour the 2015+ Mustang forum Mustang6G, you might remember a few self-proclaimed Ford insiders hinting at the release of a “number of S550 specialty vehicles” coming in the near future. Well, they weren’t kidding. 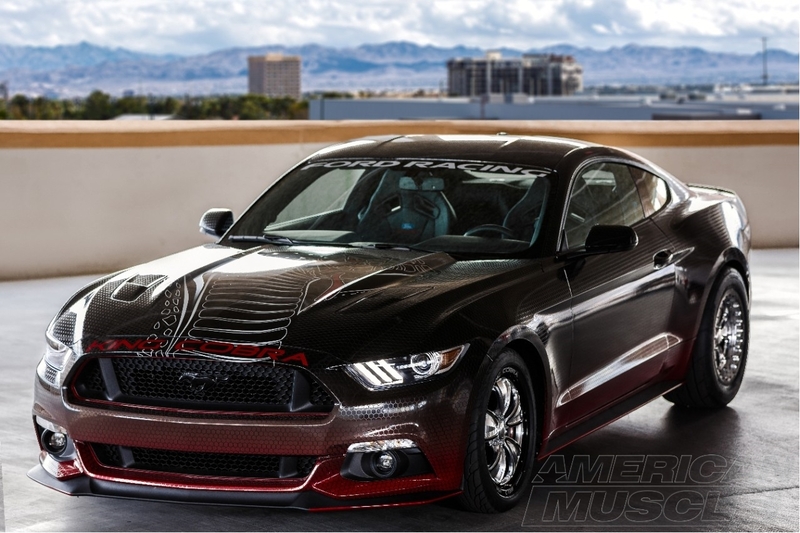 Ford announced today at the 2014 SEMA Auto Show–not too long after teasing the release of the GT350–that they have officially brought back the King Cobra (yes, you read that right, Ford built another King Cobra, a predecessor to the Mustang II King Cobra), albeit as a triple-threat package offering from the Ford Racing parts catalog. The Drag Pack is specifically intended to beef up that hoppy IRS and give you the traction you need to run the quarter mile through improved half shafts, rear end subframe upgrades and new bushings. The Handling Pack is your standard handling pack: struts, shocks and lowering springs with a stabilizer to boot. The Super Pack introduces the 2015 Coyote motor to a Roush and Ford Racing designed 2.3L TVS supercharger, a six-rib belt drive system, intake manifold, upgraded throttle body, air inlet system, fuel rail & high-flow fuel injectors, an intercooler and a tune courtesy of Ford Racing. There’s also a Ford Racing catback exhaust, Recaro seats and a short throw shifter as well. 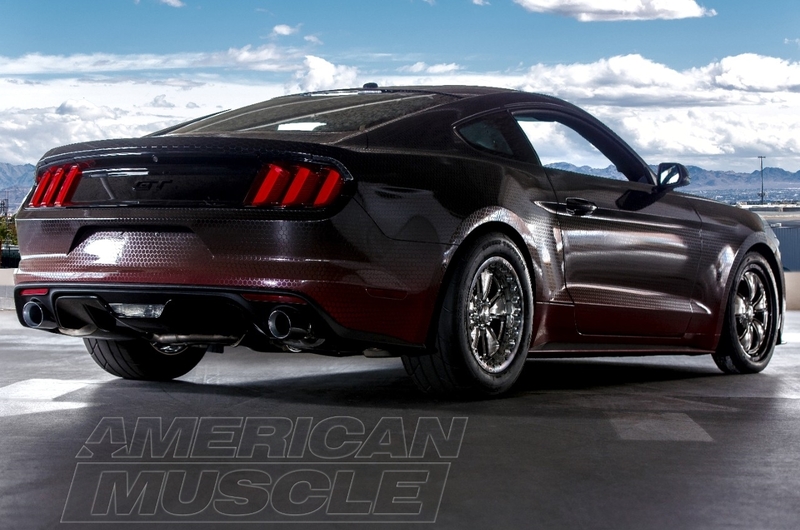 In all, you’re getting a 10-second, street legal package for the stock 2015 Mustang GT. Not bad Ford, not bad. We’ll have to wait and see if Ford offers these three kits as a bundle or if they do the wrenching for you and package them on a specially branded “King Cobra” Mustang, but for now at least we we have another piece of SEMA eye candy from Ford to daydream over. I don’t think Ford should have used the Cobra name just for a drag-pack. Will be real interesting to see how the Mustang King Cobra compares the the Challenger Hell Cat, i.e. totally stock, and strip versions. I have a 2000 ‘stang, looks like the designers lazed out! common now, a Fusion front end and a roof line looks like they lifted from a Porsche? Are they doing drug testing in the salary’d dept.? side view between the wheels looks good up to the narrow roof line so it probably has alot less shoulder room inside so i probably wont fit,i dont fit in the new vette or any 911, i can’t close the door, i have broad shoulders. I’ll tell you what this mustang will out do that hell cat. this new mustang isn’t meant for the serious car driver…being 63 years old I wouldn’t buy this teen-age crap….cmon ford..really? thats all you have for the SERIOUS car buyer?…Well all I can say is godlike meeting your profit margins..I am sure BMW isn’t……they don’t need decals to sell cars they have performance and JUST THEIR NAME….